Having seen the first film I was obviously aware of what was going to go down in the first book. One may argue that this would perhaps defeat the purpose of even reading the story, however, I found that the heads-up gained from the viewing only allowed me to concentrate on details that had either been deliberately omitted from the books or proven too complicated to deliver on screen. One example of this would be the unfolding of the relationship between young tributes, Peeta and Katniss. In the film, it is not particularly clear as to what the nature of their relationship actually is, more specifically Katniss’ take on the whole thing. However, I do understand that the adaptation of a first-person narrative from print to picture will always prove to be a problem in the absence of a narrator. But yes, the book did adequately shed some more light onto the ‘Patniss’ (Peeta and Katniss, duh) love saga, which I was happy about. What I was not so thrilled with, on the other hand, was Collins’ decision to make use of that ghastly present tense and terse, pointed sentences in order to put us firmly in the ‘midst of the action’. Not when EVERY sentence apparently fits this description. No thank you. 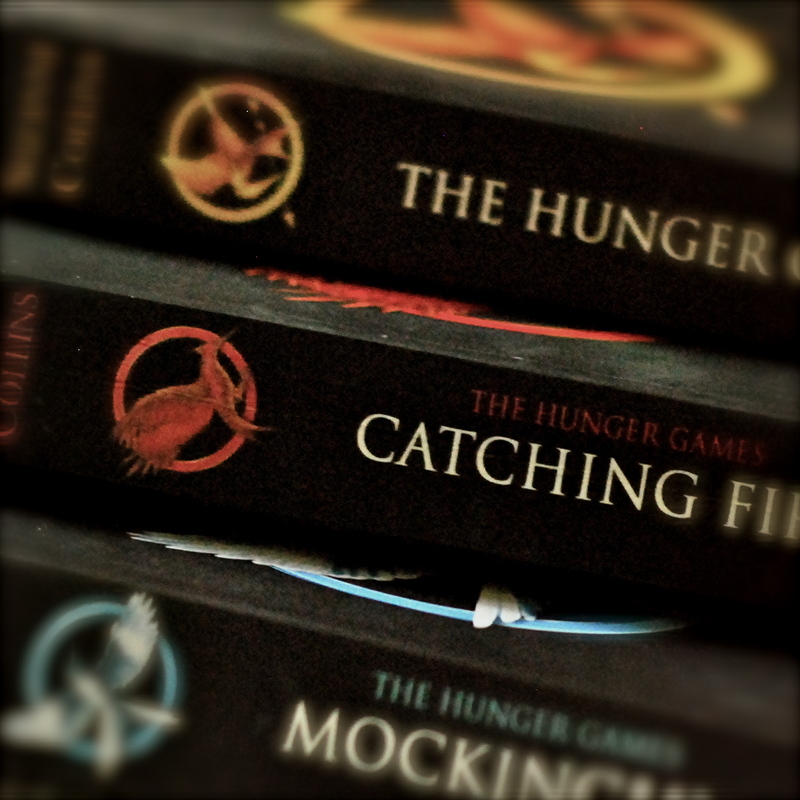 By the time I had reached the second book – and I mean it was a struggle when up against such a tirade of tiny, tiny sentences – I can safely say that I was starting to grow weary of Katniss’ annoying whine of a voice. 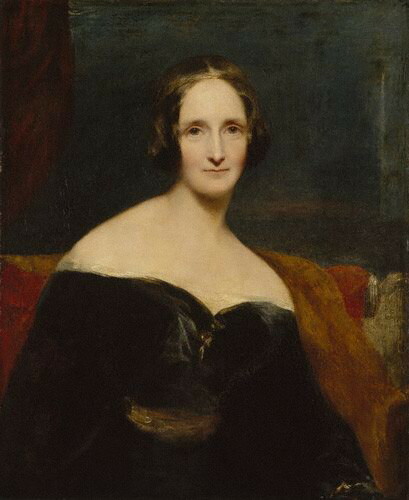 Yes, I realise that she is a typical seventeen year old girl, but all this to-ing and fro-ing between love interests, which is only matched by the to-ing and fro-ing she makes to the hospital, really devours any sympathy I once had for her. There really is no logic to her affections. ‘But there is no logic to love!’ I hear you cry… Shut up, no one who demands that amount of nobility for her actions should be that capricious. She is just too weak. Another gripe I was beginning to realise I had with the way Collins had chosen to tell her tale was the fact that every chapter seemed to end with some sort of cliff hanger; to the point where it was just getting ridiculous. There were moments in the chapter where, I must admit, I felt like screaming, ‘Really Suzanne?! Did that REALLY happen? !’ No, I don’t think it did. I think you are just terrified that no one will want to read on if you don’t end each chapter with some outrageous dramatic one-liner. Please. Have a little more faith in your own writing and give the reader a touch more credit to the fact that they will NOT slam the book shut in utter disgust that nothing astounding has happened in the last five pages. It’s all about subtlety, love. 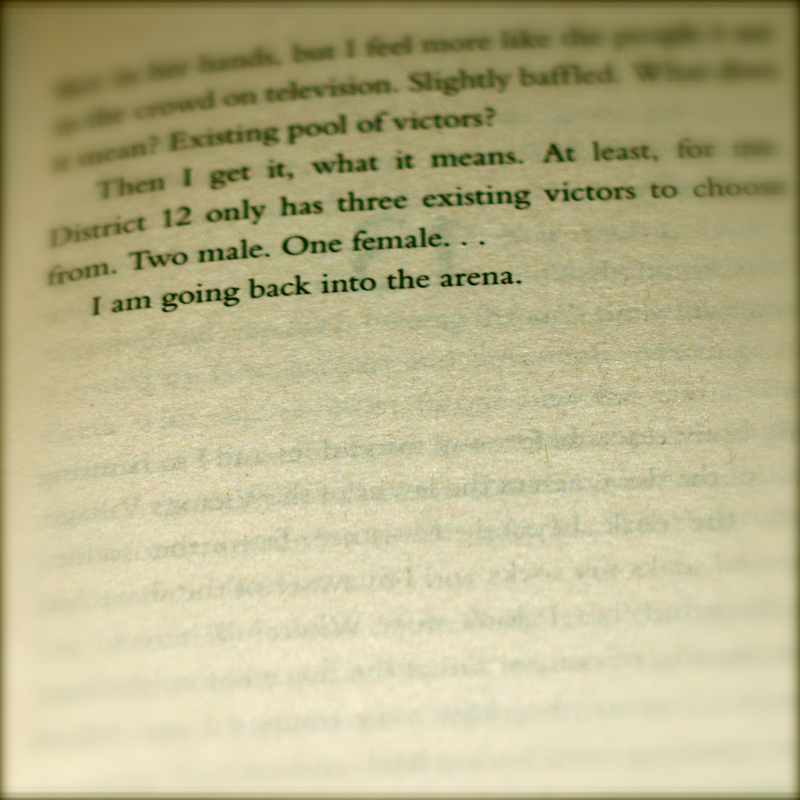 Example from Catching Fire, p209, of a classic Collins-cliffhanger. I would next like to address the issue of president Snow. The first book showed promise of a somewhat enigmatically calculating villain, and with the second book I was undoubtedly vying for a deliciously dark and troubled back-story to get my teeth into, to establish in my mind a smart and intimidating villain. It turned out that there was no real back-story – at least Volders had a troubled past that we could revel in; to explain why he was a twisted, cold-blooded killer. Snow just had some botox that went wrong…I don’t get the wrong impression here, I do in fact likeCatching Fire, especially the brilliance that is the second arena, complete with tactical alliances to boot. Fantastically intriguing. Let us only hope that justice will be done to this creation on the big screen! ‘Just another piece in their/his/her/my Games’, was the phrase that was now causing me physical and mental anguish every time I happened upon it, which was pretty much in every other chapter of Mockingjay. As if this wasn’t enough, the complete overkill of the rather pretentious name itself, Mockingjay, was answerable to a reflex of steaming anger bubbling up from inside of me every time it was mentioned. All in all, I have to say that I found this book incredibly hard to deal with, mainly on account of its clumsiness in addressing the rebellion, and its lack of our main man: Peeta. I felt that the poor boy, who, let’s face it, is the best written character in the whole saga, was rather made a mockery of. His absence was really quite telling, particularly when the romantic interest was in favour of Gale, as I found myself becoming really quite uninterested in the whole thing. What a DULL character Gale is. Clearly Collins thinks so too, as it goes to show back in Catching Fire. Subsequent to his whipping for crimes against Panem, we are informed that Gale was in a critical state being tended to night and day. Then in the next chapter we find out, in a rather off-handed reference, that Gale is back down the mines. Does Collins even remember he was injured?! Speaking of miraculous recoveries, Peeta’s plight against the Trackerjackers in what we commonly call a ‘highjacking’ was a rather dubious one. No light was ever really shed on exactly HOW our man was saved from this nasty fate. All the information we receive is that dear old Delly has been having a chat with him now and again, coaxing him out of his (righteous) hatred for Katniss. Hmmm, interesting. 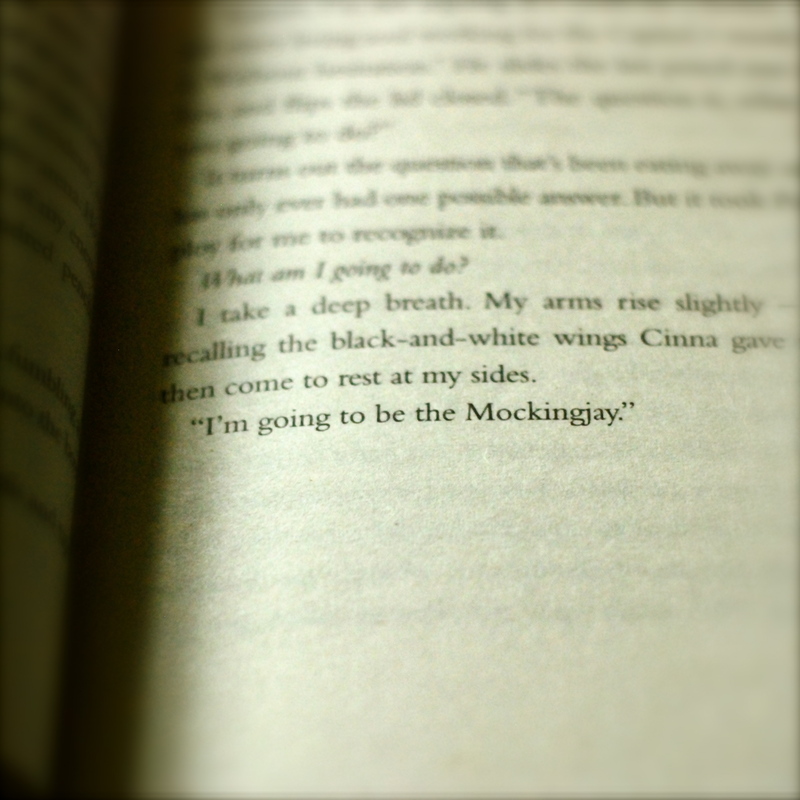 Example from Mockingjay, p37, of ‘Mockingjay’ overkill. Overall, I feel that Katniss’ final romantic revelation actually epitomised the way the series has been written: way too sudden and inadequately explained. ‘So yeah, by the way, I’m with Peeta now. I decided that Gale and I are too alike, oh well I guess that’s that. Sigh.’ Collins kicked things off with a great concept, managed to run with it insofar as creating a decent world and a handful of interesting characters (Hamish, Peeta, Finnick, Johanna and Beetee being among the elite), yet she has unfortunately stumbled at the final stretch. It just so happened that the ‘final stretch’ incorporates the entirety of the third book. Never mind, hey, it’s only a children’s book.